During our short visit to Prague, we were fortunate to experience some of these delicious delicacies but we also left realizing that the Czech Republic is home to a myriad of dishes that we can’t wait to try on a future visit. 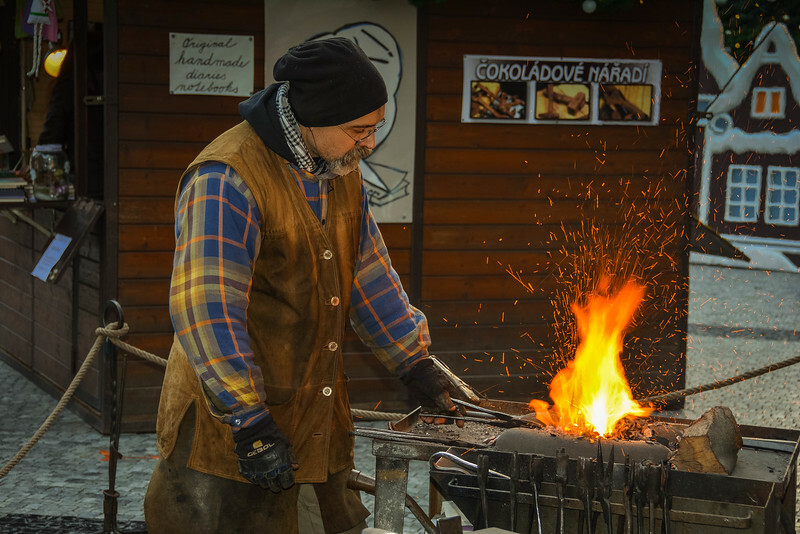 Whether you have a sweet tooth and can’t wait to demolish one of the delicious looking Trdelník pastries or perhaps you prefer a meatier option and look forward to the iconic pork knuckle, Prague is home to a wide variety of foods ensuring you won’t go hungry on your next trip there. Even the local supermarkets offer some pretty delicious food! Rather than focusing solely on our limited knowledge of Prague, we are delighted to collaborate with some of our fellow travelers who have experienced the Czech capital and sampled some of this fine cuisine. 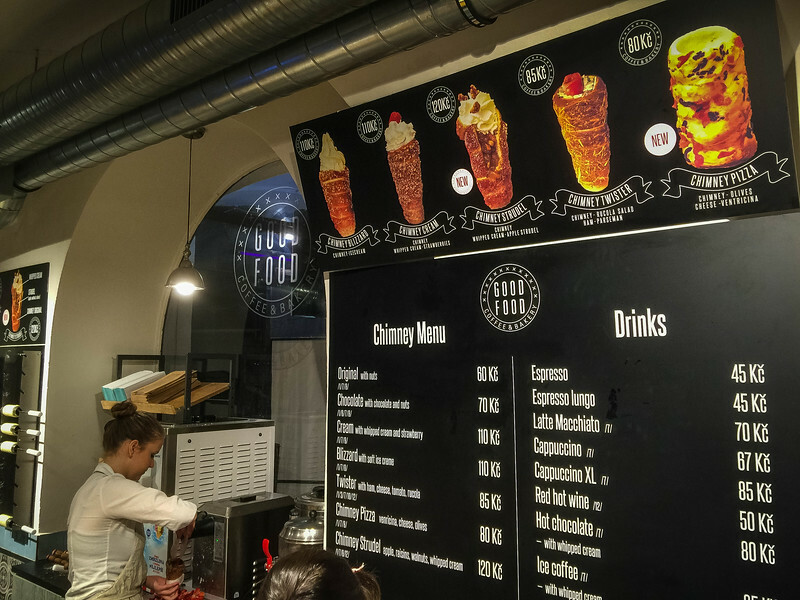 Let’s take a look at what to eat in Prague and beware, if you haven’t eaten before reading this post, it won’t take long for you to be hungry! 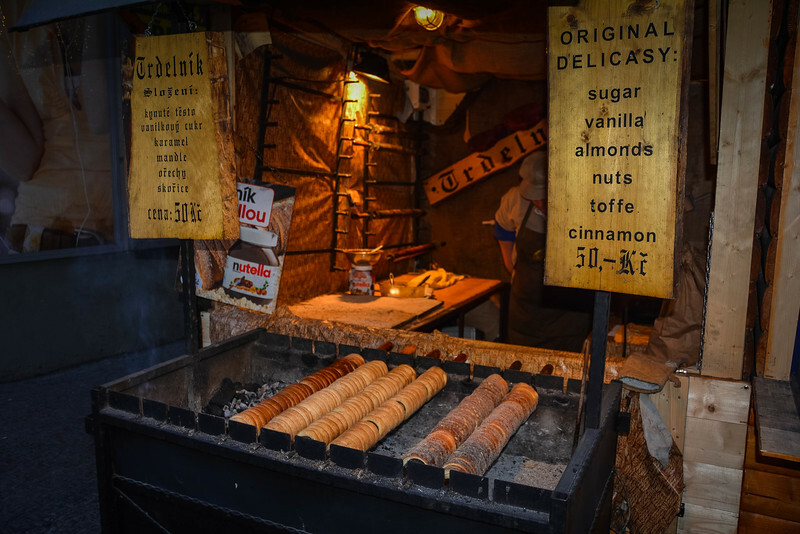 Let’s start with one of the most popular options that you can find on almost every street corner in Prague – Trdelník. It is also one of the Czech Republic’s more contentious items given that it is commonly known as a Slovakian and Czech delicacy but the reality is that this pastry originates from Székely Land, Transylvania. 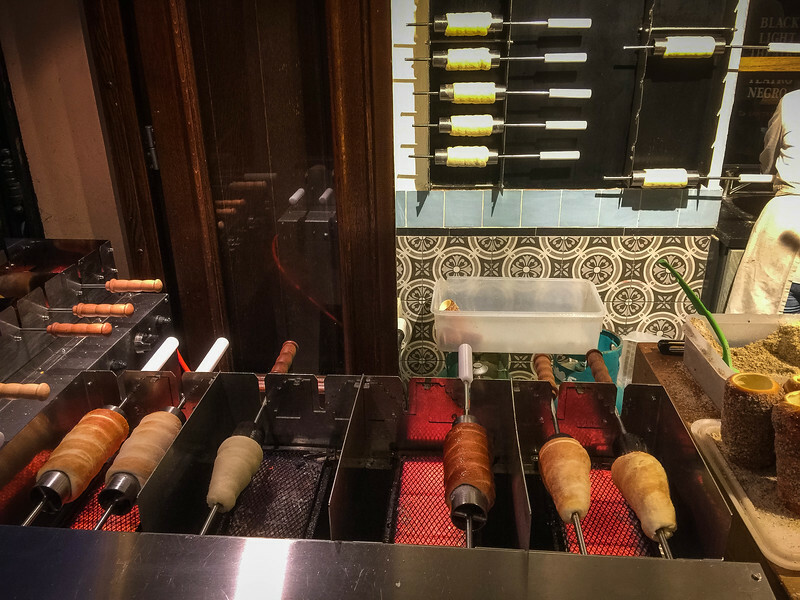 Trdelník is sold by street vendors throughout the city of Prague and is also available in a number of delightful cafes that sell both savory and sweet versions of this pastry. 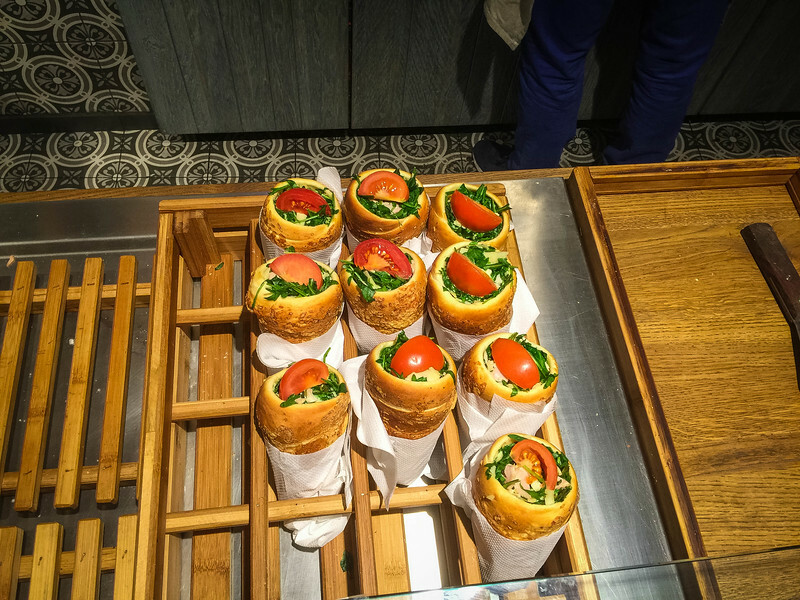 We sampled one of these at the awesome Good Food Coffee and Bakery located on Karlova Street, just a short walk from Charles Bridge in the heart of this historic city. 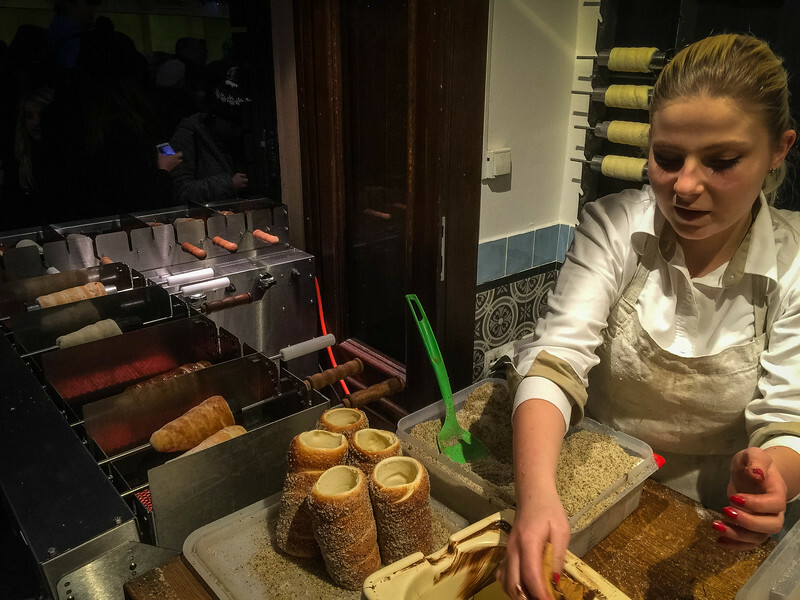 What exactly is a trdelník? This pastry is made by wrapping dough around a stick and then heating it over an open flame until it is golden brown. It is then rolled in cinnamon sugar and prepared for whatever delicious fillings you want. These ‘chimneys’ are incredibly popular around Prague and it’s pretty obvious why, especially when you see the amazing concoctions that local bakers create. 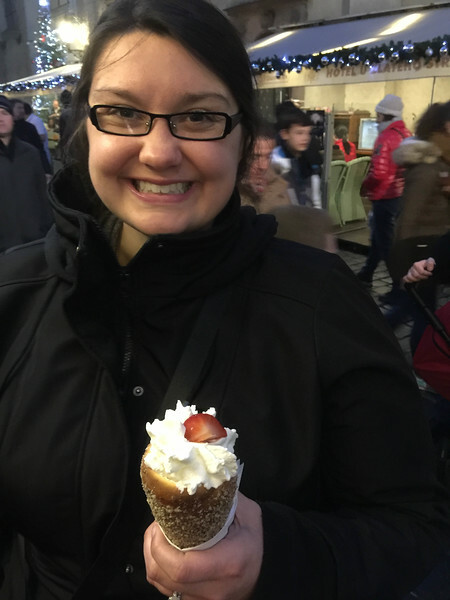 We couldn’t resist the strawberry and cream trdelník and taking a stroll through the Old Town Square with the Christmas festivities taking place, it was the perfect accompaniment for anyone with a sweet tooth. 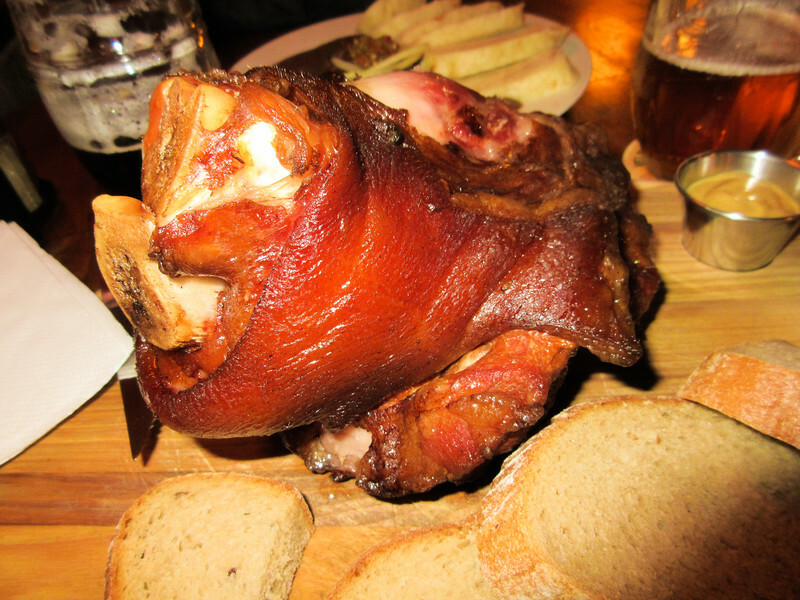 Arguably the most famous item in the Czech Republic cuisine is the pork knuckle. Perhaps it’s not the most attractive but the obvious flavors of this delicacy (I can’t believe I just called it that but let’s just go with it for now!) make this an appealing meat for those wishing to sample traditional Czech food. 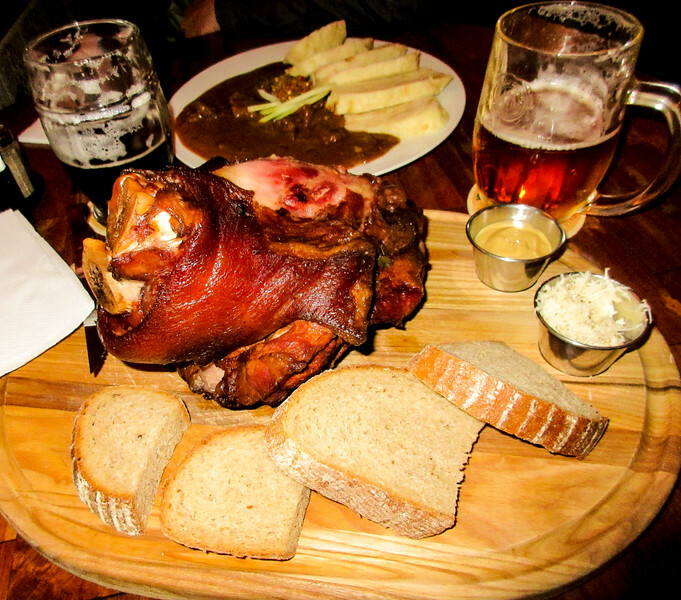 ‘Pork knee’ or ‘veprove koleno’ is a classic Czech pub dish, typically presented on a wooden board or in a roasting tray. This plated version served at Narodni Pivovar, a microbrewery next door to the National Theater in Prague is one of the best. A delicious almost effervescent layer of crackling over tender meat, served as is the tradition with two varieties of mustard and some freshly grated horseradish. 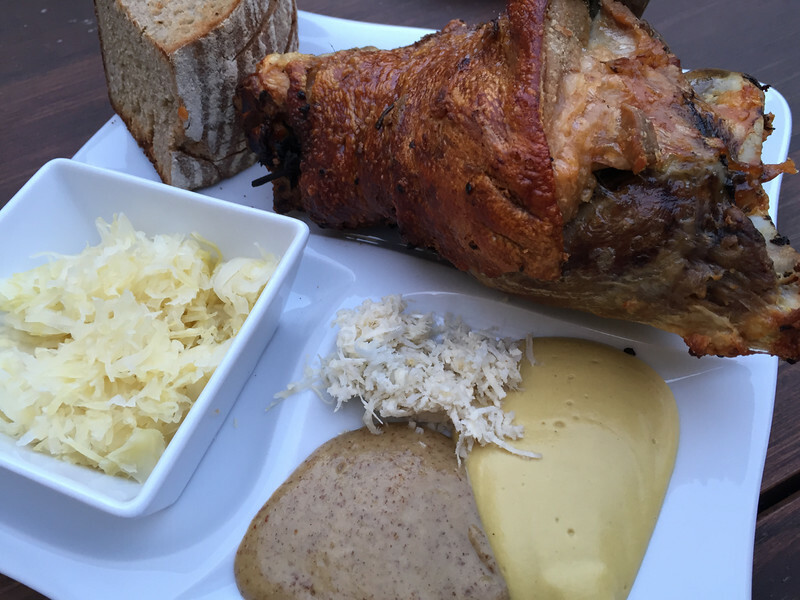 Traditionally served with a piece of bread, this huge slab of pork may not have the most appealing appearance but the taste is clearly what makes this such an intriguing proposition for visitors to Prague. It’s usually marinated in dark beer and a selection of herbs, roasted, and then served with a number of accompaniments as Charles highlighted above. Don’t be fooled by the appearance of Koleno. You may be fortunate to visit a high-profile pub that serves this with a delicate appearance but it’s likely the best will be those local establishments that prefer to care about the taste. I think it’s fair to say it’s one of those items you just have to try and you will likely want to have it more than once! We would also like to thank Sarah Hughes from Live, Dream, Discover for sharing these images of this tasty looking pork knuckle. 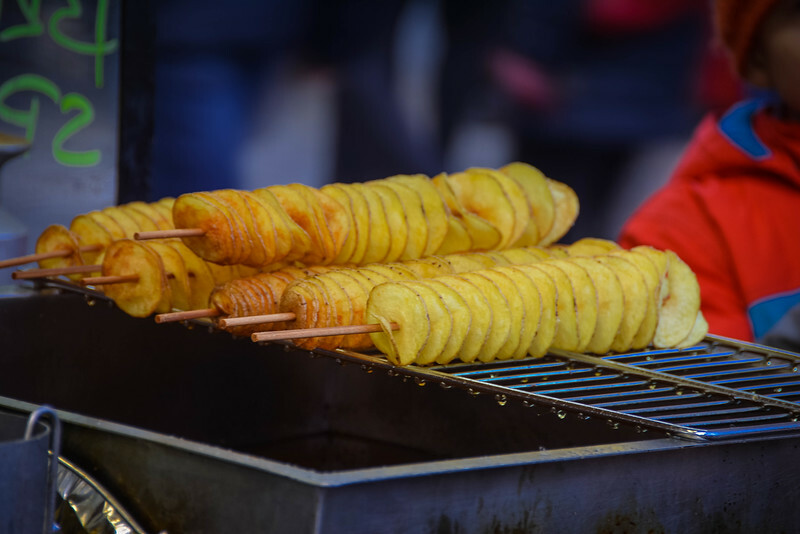 Fried potato chips on a stick…come on, it doesn’t sound all that appealing right? 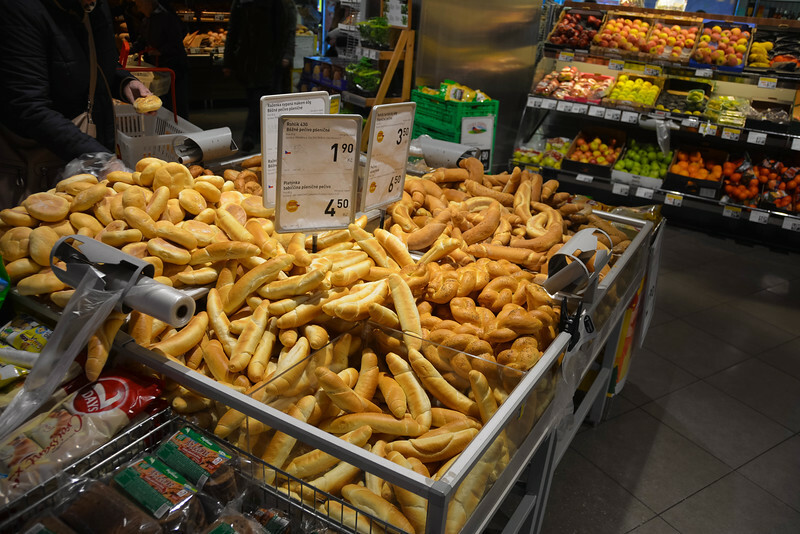 Don’t worry, it’s a delicious snack that you have to try while exploring Prague. Take a stroll around the Old Town and at Christmas, there is nothing better than watching one of the local street performers and then experiencing the fine potato chips from one of the local market stalls. If you prefer to indulge in these potato chips from a traditional bag (for those of you that are familiar with a traditional bag of chips in England, you will know what I mean! ), those are available also. For those of you that love to people watch, the Old Town is the place to do this in Prague. Grab those potato chips on a stick and take a seat while enjoying the world pass you by. Prague is certainly a city you can enjoy this experience while admiring the historic architecture throughout the city. 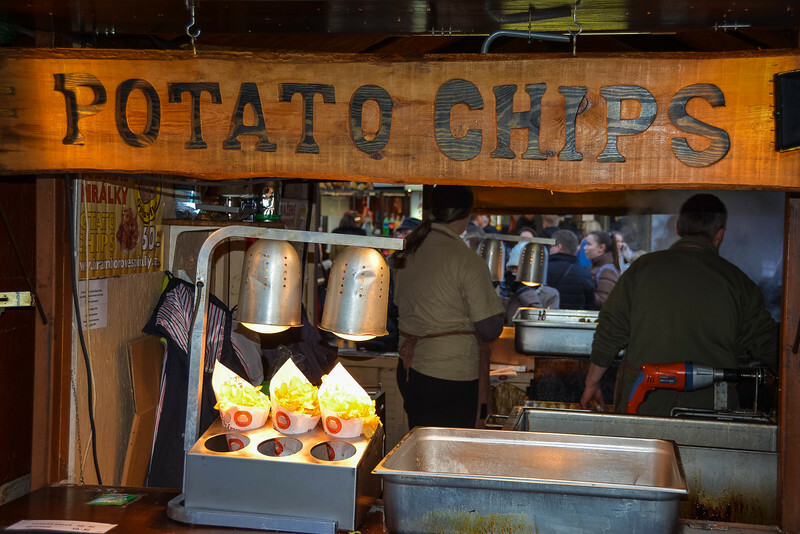 Potato chips in Prague are also a popular accompaniment to sour sausage. It may not sound the most appealing but according to Viktoria Urbanek from Chronic Wanderlust, this is a delicious combination. Did we mention that Viktoria suggests indulging in this dish in conjunction with a local draft beer? 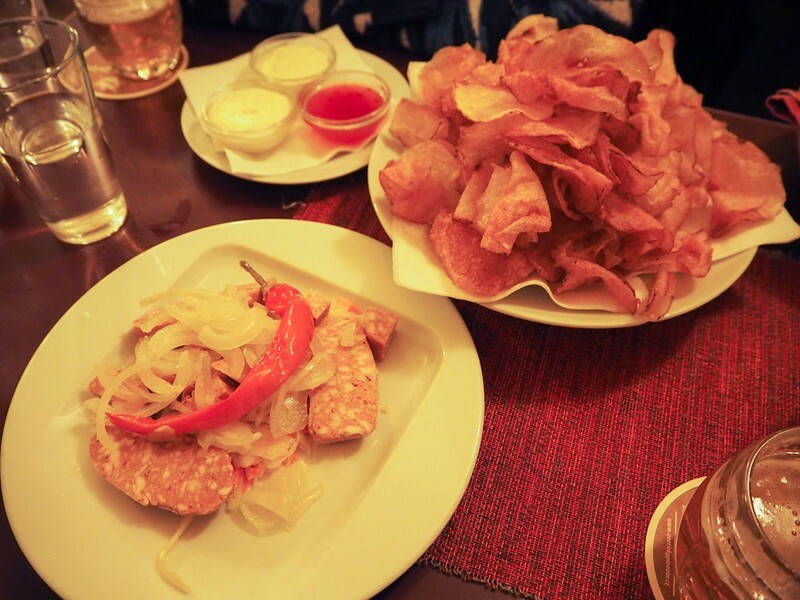 I don’t know about you but I’m ready to relax in a Prague restaurant with a beer and this snack! For those of you looking for the perfect way to start a traditional Czech meal, look no further than a bowl of old Bohemian soup. Typically comprising of sauerkraut, sausage, potato and cream, this delicious soup is certainly a great way to start your meal. 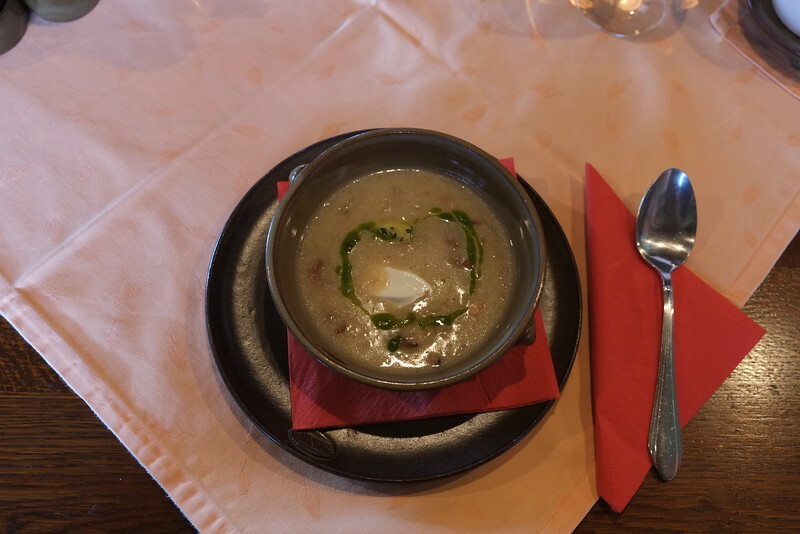 Sofie Couwenbergh from Wonderful Wanderings had the opportunity to experience this soup at Restaurant Zvonice (Jindrisska Vez), located at the top of a tower overlooking the Vltava River. Zvonice is decorated with gorgeous oak beams and serves everything from snails and carpaccio to the traditional Bohemian soup. For those visiting in winter, this is definitely the perfect location to sample a hearty bowl of soup to keep you warm. You could be forgiven for thinking that Trdelník pastries are the most common dessert in Prague but actually you will find apple strudel on every menu around the city. A small shop in the heart of Prague is renowned for having some of the best apple strudel desserts across Europe. Susta Strudl sells foot-long strudels for only $2 and I can’t wait to sample these the next time we are in Prague. The intriguing aspect of this shop is that it’s one of those local establishments that you have to know. 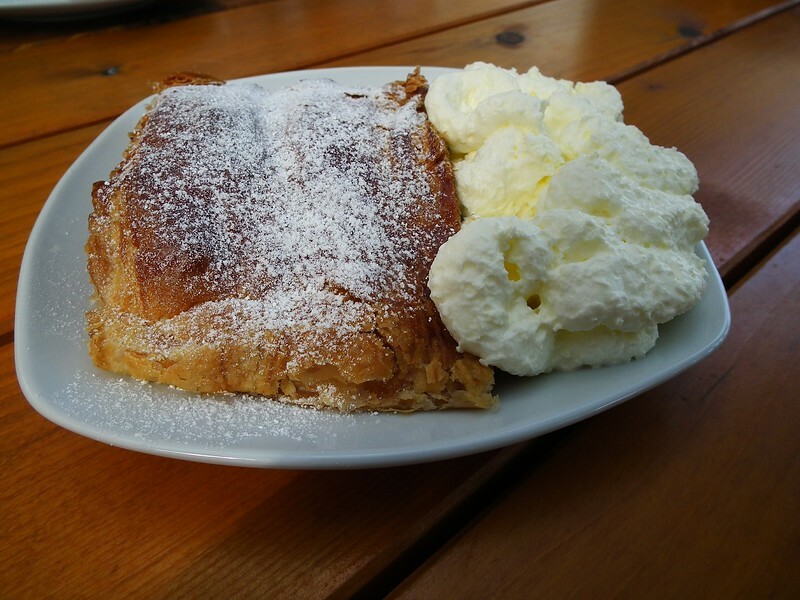 When Samantha Brown from the Travel Channel visited Prague, she claimed the following about Strudl’s infamous desserts. Does it really surprise you when you see images like this? Talk about salivating at the mouth when you hear the words “apple strudel” while wandering around the streets of Prague. 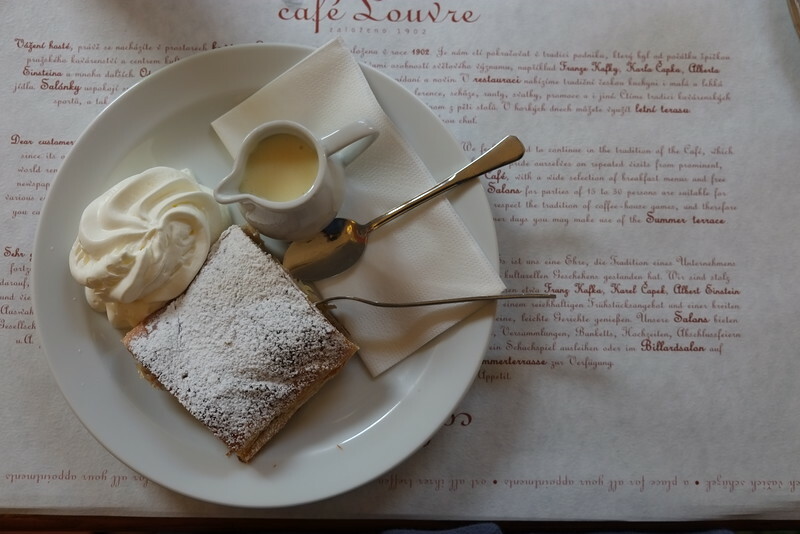 Sofie from Wonderful Wanderings shares this delicious picture of apple strudel that she sampled at the Café Louvre. For those of you with a serious sweet tooth, these fluffy concoctions are waiting for you to indulge. Prague may be famous for history and gorgeous architecture but the availability of fine cuisine is certainly something that should not be underestimated. If you are visiting the Czech capital and considering what to eat in Prague, perhaps some of these dishes and delicacies will intrigue your taste buds. Curious about finding the best places around Prague to find these dishes? 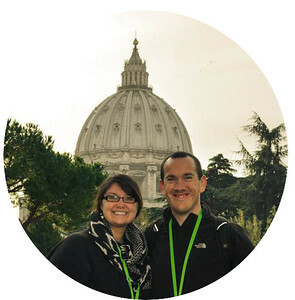 Our recommendation is to take a stroll and any place that sparks your interest, try it out! We sampled several spots and were not disappointed anywhere. We were fortunate to experience a few of these dishes and we would like to thank our friends from around the world for sharing several other delicious Czech foods that we cannot wait to sample the next time we visit Prague. Have you visited Prague and sampled any of these foods? What are other traditional Czech dishes that we have to experience? Previous articleHow to Experience the Perfect Christmas in Australia? 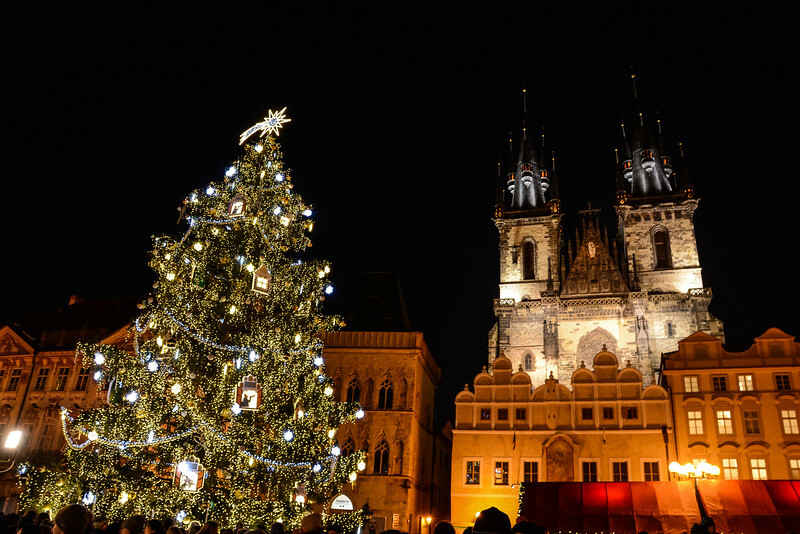 We sampled some of the most amazing food in Prague, especially at the Christmas markets. Potato dumplings with smoked pork and cabbage or the many types of sausages, pork knuckle or Trdelnik, I can’t choose a favourite. These all look amazing, but that pork knuckle especially, perfect winter food!